Payson High school will be hosting a College and Financial Aid Night. It will be held on Wednesday, Nov. 8th form 4-7 PM. It is a great night to find out more information about colleges, apprenticeships, ALC, Regents Scholarships, Sterling Scholar, and Military options. There will also be help with FASFA available that night as well. It is open to the public. 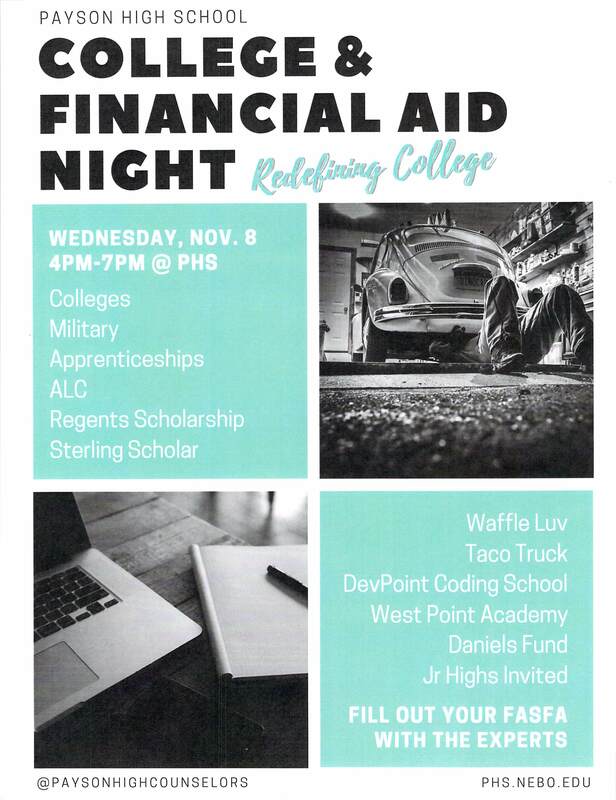 They will have Waffle Luv, Taco Truck, DevPoint Coding School, West Point Academy & Daniels Fund at the event as well.